We’ve been doing managed rotational grazing since 2007. 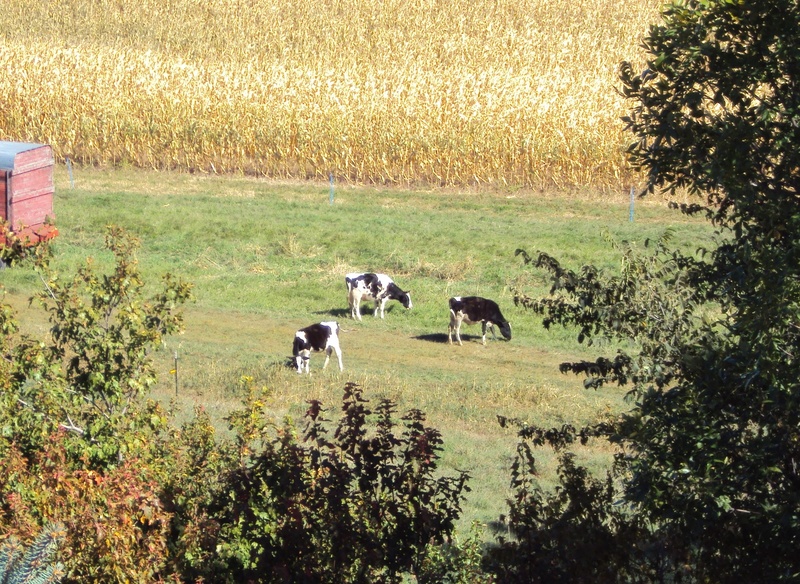 The 40 acres of certified organic pasture is enrolled in the Environmental Quality Incentive Program. Mariénne, Oberon and Titania facing off with the herd. 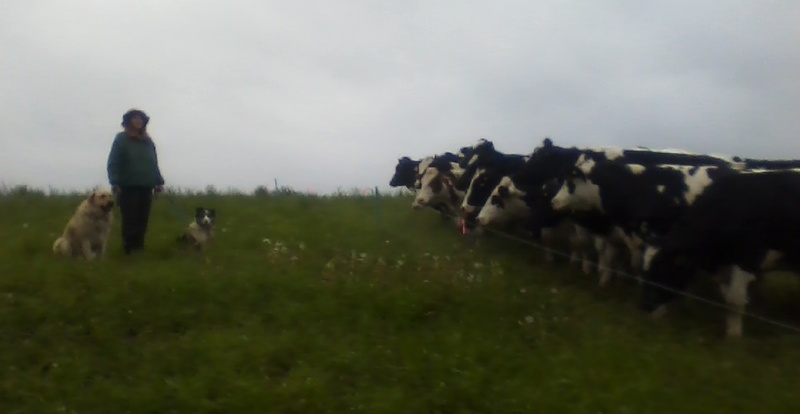 Primarily, we do “custom grazing” for our neighbor’s Holstein heifers; taking them when they are near breeding age and raising them until they are bred, about to calve and ready to go to the dairy. We also raise some cattle for beef . 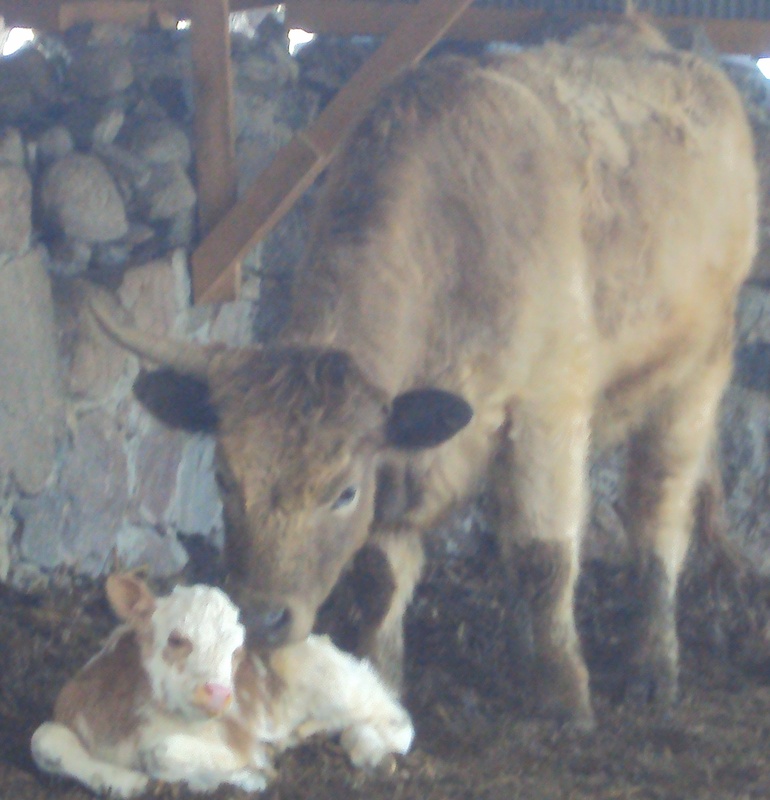 We have started breeding Scottish Highlander crosses, and we buy “freemartins” from our partner farm. Freemartins are sterile females – actually hermaphrodites – which are valued for their meat in parts of Europe. 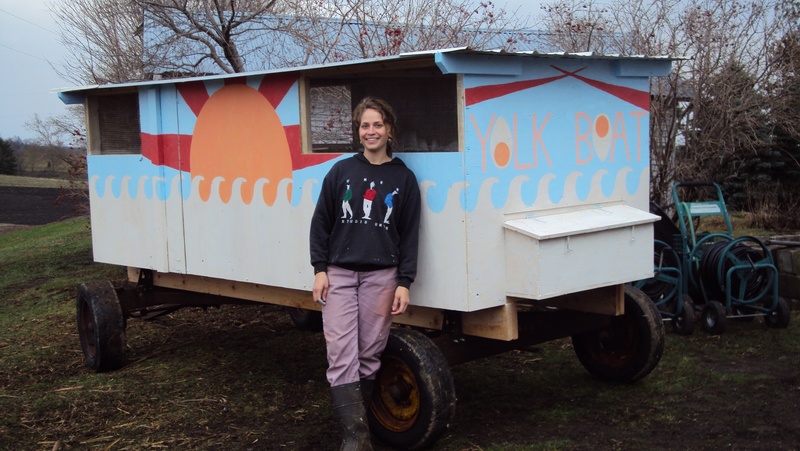 The laying hens are also on grass for the growing season, producing eggs in two “eggmobiles” (named Ovomobo and Yolk Boat) that move around the pasture. We have goldstars, Rhode Island reds, some barred rocks, and silver lace wyandottes. 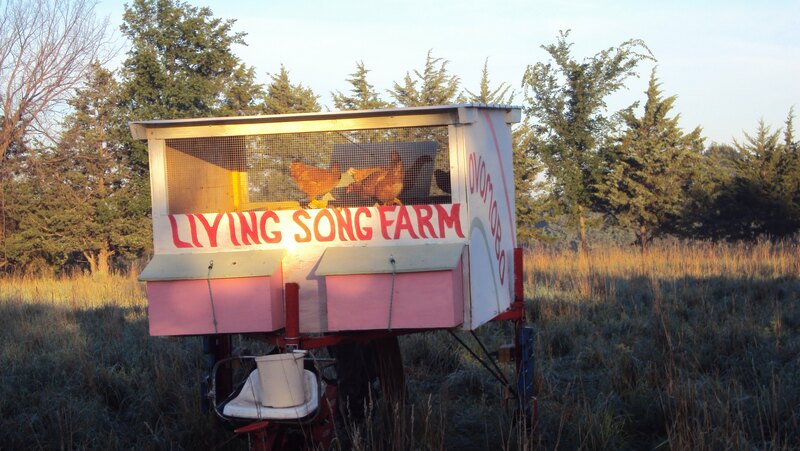 The lead rooster is a Rhode Island red named King Richard, and the second-in-command hasn’t earned a name yet. I bet the Eggmobiles were a fun building project! Keep up the great work!